Bahrain's government has embarked on an ambitious plan to distribute thousands of housing units under 17 projects across the kingdom this year, said a report. 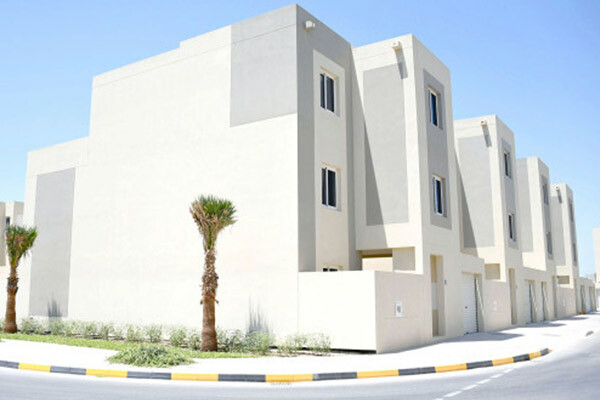 The move comes following the order of HRH Prince Salman bin Hamad Al Khalifa, Crown Prince, Deputy Supreme Commander and First Deputy Premier to distribute an additional 5,000 housing units by the end of this year, reported BNA, citing the housing minister. "Since the issuance of the order by HRH the Crown Prince, the ministry had set up a task force to determine the distribution areas and the beneficiaries' lists," remarked Engineer Bassim bin Yaqoob Al Hamar. He pointed out that that the team was directed to maintain fast pace of the work and study all the lists to ensure the housing service reach the beneficiaries. "As per the HRH the Crown Prince's order the housing units are being distributed under 17 projects including those in Al Lawzi, Hamad Town, Al Ramli, Salman Town, East Hidd as well as the projects implemented in Juffair, Al Bahir, Khalifa Town and Tubli," he added. Al Hamar expressed delight at the pace of the current distribution programme, as this was the last phase in implementing the housing commitment included in the government work programme concerning the distribution of 25,000 housing units. The ministry succeeded in honouring the commitment in line with the directives of His Majesty King Hamad bin Isa Al Khalifa and the continuous follow-up of the government, led by HRH Prime Minister Prince Khalifa bin Salman Al Khalifa, said the minister. He also stressed the ministry's keenness to maintain the same pace until full implementation of the royal order to build 40,000 housing units.